The Debate Forum of the National University of Advanced Legal Studies (NUALS), Kochi is organising its flagship inter-college debate competition – “Altus Disputatio 2014” from February 7-9. These days will witness the Fifth Edition of one of the most anticipated debate competitions in the country, famous for its unique “Devil’s Cross” format developed by the students of the University, making it all the more intriguing and challenging. In this format each session of the debate is divided into three stages Expository, Elocution, and Entrap. Motions for the debates are determined by the participating teams themselves, after interpreting an abstract topic provided by the organisers. This is perhaps one of the very few debates that tests a participant’s knowledge of current affairs, his presence of mind and creative skills, while of course, constantly assessing his dexterity with words. 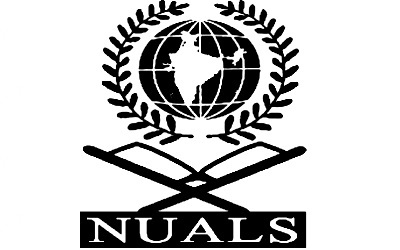 Altus’ previous editions have attracted students from colleges and universities throughout the country and also saw reputed institutions such as the Gujarat National Law University, ILS Law College Pune, National Law School of India University, Bangalore, and SDM Law College, Mangalore taking home the prestigious ever-rolling trophy. Registration for the competition is NOW OPEN. The competition will be held at the NUALS campus, Kalamassery. The team cap is fixed at 24 (divided into four pools) and slots will be allotted on a first-come-first-served basis. Each team must include two speakers and an inquisitor. Transportation to and from the station/airport, food and accommodation will be provided by the organisers. The registration fee for the event is Rs. 1,500/- per team. The detailed rules of the competition and rules regarding registration have been put up on the website: www.altusdisputatio.com and the facebook page: fb.com/altus.disputatio or reach us on +91-9600170890/9995247839 or mail us at [email protected]. Next Article Ombudsman System: A Battle Won!